Shipping brings us 90% of everything we buy and consume, from our clothes to our TVs to our cars. And yet recognition of the impact of shipping on the environment is shockingly low. Shipping is one of the fastest growing sources of transport greenhouse gas (GHG) emissions, accounting for approximately 3% of annual global CO2 emissions, with a projected increase of 50-250% in the period up to 2050. By comparison, the much maligned Aviation industry only accounts for 2% of global CO2 emissions . So the question arises – is there an opportunity to reduce shipping emissions without impacting growth? One company that thinks so is Skysails GmbH from Hamburg. Chosen by the World Economic Forum as a 2008 Technology Pioneer , their innovative solution uses automated kites to tow large container ships. Think kite-surfing, but on a highly advanced scale. So why has SkySails not attracted interest from ship companies? According to Henning Kuehl, head of business development at SkySails, “There’s a structural problem slowing down the process: ship owners (who have to make the investment) often don’t pay for the fuel – that’s the charterer’s duty. The charterer on the other side doesn’t charter the ship for long enough a period to make low-carbon technologies pay back.”  Combine this with low fuel prices and little political incentive (there is currently no regulation limiting shipping carbon emissions), SkySails is finding it difficult to get lift-off. Target a business’s sustainability brand: Consumers are increasingly aware of environmental issues and this is starting to influence companies. Kraft Heinz and Coca-Cola for example are committed to increasing sustainability in their supply chain. In 2009 Toyota’s shipping partner, NYK Line, installed solar panels on some of their ships in a move towards ‘greener shipping’. SkySails can work with these importers to improve the sustainability of their supply chain. 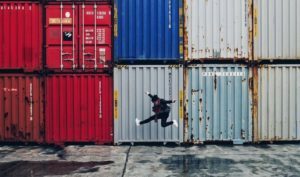 Lobby governments: Without formal regulations requiring caps on emissions, it is unlikely that shipping companies will be incentivized to invest in costly solutions. Skysail could work with organisations like the Transport and Environment organisation to promote a change in transport regulations. Around 50 million euros have been invested in the technology to date, with a 3.5MW product and test farm already developed. Diversifying into this area allows SkySails to develop an environmentally friendly and recognizable brand. Only time will tell if it will get off the ground and truly soar. Skysails GmbH’s idea of using automated kites to tow large container ships is so cool! Clearly, one of the challenges it faces is public awareness of the issue at hand. Why do you think people are not as aware of the detrimental effects of shipping? I was shocked by the numbers (a 50 – 250% increase in CO2 is MASSIVE compared to the 2% from aviation!). 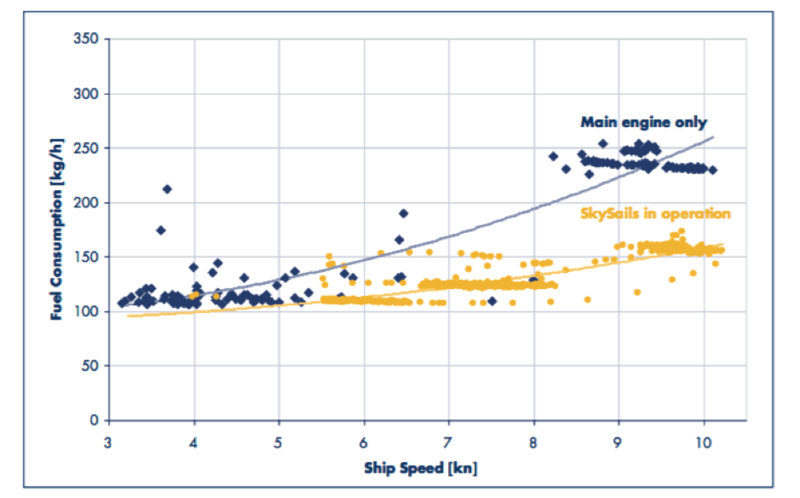 Based on our Ocean Carriers case, it seems like Skysails ships are not priced at an obscenely high price point. However, are there downsides to how long it takes the company to build these ships? I am also curious about the timeline of development: clearly, climate change’s impact on the environment is happening at year over year rate – not decade over decade. Does this have an impact on Skysails GmbH’s operating model? Moreover, what challenges exist with having an increase in these kites, and are their environmental costs to creating the kites themselves? 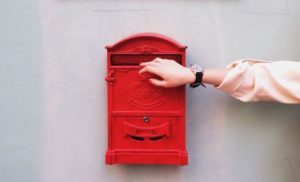 Thank you for such a great post! 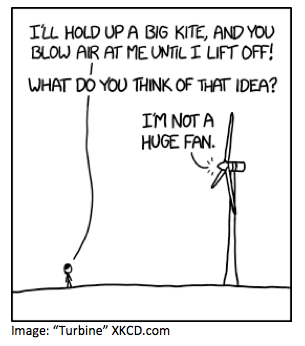 I found the idea very inspiring and innovative, but I have to disagree on the efficacy that kite-sailing may have in fighting climate change. As pointed out by industry experts, kites are actually used as an extra source of power to increase the vessel speed, rather than to substitute conventional engines. SkySails also recommends this option. .
– Kite sailing efficacy relies on the wind speed and direction, which makes kite-sailing an unreliable source of energy for vessels, and the shipping industry is a low margin industry that needs accurate information of costs. – With decreasing oil prices, a 10-15% savings in fuel might not be worth the $0.5 – 3 million investment. – There is a misalignment of incentives that will make the adoption more difficult: the decision maker (vessel owner) is not responsible of paying the fuel costs, and therefore is not incentivized to invest in kite-sailing technology. I believe that SkySails should explore expanding its business to equip ships with other renewable energy sources (like solar panels, wave energy or liquid natural gas) and to get rid of the diesel engine completely, like the Australian player OCIUS is doing . This is a really interesting technology, Deviyani! In terms of building out a business model where more shipowners/charterers are willing to deploy/pay for this type of technology and incentives are aligned, I wonder if there are some lessons to be learned from the solar industry, which introduced power purchase agreement financing structures to remove barriers to commercial uptake. Under this model, there is a financing party who provides the capital outlay for the project. The financier then contracts with charterers to “offtake” the power generated during their charter term. The charter would enter this type of contract, which could be for the same term length of their charter, to lower the overall cost of their power without assuming the overall capital cost and risk of the project. They would pay a slight premium over the %0.06/kWh that it cost SkySail to operate the sail in order to make the financier whole and provide them some upside, but at a price that would be less than the %/kWh that charterer would pay for other fuel sources cost. The shipowner has no capital outlay under this model either, and the reason for them to partner with SkySails is simply to offer a competitive, differentiated offering to their customers, as well as to reap the efficiency gains from traveling faster, which allow them to have higher asset utilization. Devi, this is a really interesting technology with two very interesting applications that you described here. It is disappointing to hear that none of the shipping companies have picked up the technology, and it seems like the main reasons are related to how the business operates. I think the technology application is also difficult in this instance because wind power is quite unpredictable (less so offshore, but still unpredictable) providing an unsustainable source of energy when ships need full on demand power generation. Devi, thank you for sharing this post. I agree that something urgent should be done to reduce the amount of carbon emissions in the shipping industry, especially given that CO2 emissions in this sector are expected to increase between 50-250% by 2050. While your proposal of targeting a business sustainability plan sounds like a great idea, I wonder whether the parties involved would be reluctant to adapt a new technology on this premise alone, especially given that the energy produced by this new technology cannot be stored. This makes me wonder whether the companies would instead opt to go towards other forms of cheap and reliable energy sources (i.e. natural gas), which cause less harm to the environment compared to coal or oil. But as you mentioned, government regulation can help to incentivize some of these companies to opt for more clean technology. It will be interesting to see what the future holds for this industry. This is a really interesting post. I had no idea this was being used to reduce fuel consumption for container ships. One aspect of this project that I find to be extremely interesting is that fact that it is automatic, while still being controlled by humans. This mitigates many of the negative impacts of turbines, such as interacting with migratory bird flight patters. It made me further consider whether it is possible to place solar panels on these ships as an additional source of energy to compliment existing power generation. Have you heard of this? Furthermore, I wonder if this technology can be reduced in cost. The price tag seems extraordinarily high for such a simple solution to fuel consumption. Thank again for the thoughtful post! I wrote about the air transportation industry and had no idea about the magnitude of the problem in shipping, the numbers are truly mesmerizing. From my experience with airlines, I will tell you that they won’t do anything unless a multilateral body with punitive powers requires it. In the frame of the Paris they managed to discuss about it and this talks have resulted in a binding agreement just one year afterwards. The fact that shipping is in general a very unsustainable business affecting water and wildlife on top of emitting vast quantities of CO2 leads me to believe that we are not far away from such day in which an overarching policy is reach. When that day comes, SkySails stock will feel the thrust. What an interesting idea! I never would have thought about using kites to pull huge tankers. I wonder how often they are able to use the kites and if there are certain areas/routes where it is more effective (ie downwind/reach). Nonetheless, it seems like it would be a great start to making tankers more efficient. I also wonder if the Navy might ever look to use something like this because they would have aligned incentives (owning the ships and paying for the fuel). The crew would have to learn to correctly project how much they could rely on the kite where they would feel safe enough to cut the fuel supply (weight) they carry to make them even more efficient/faster. If they underestimate the fuel need, they could face huge costs and delays waiting to refuel while at sea.